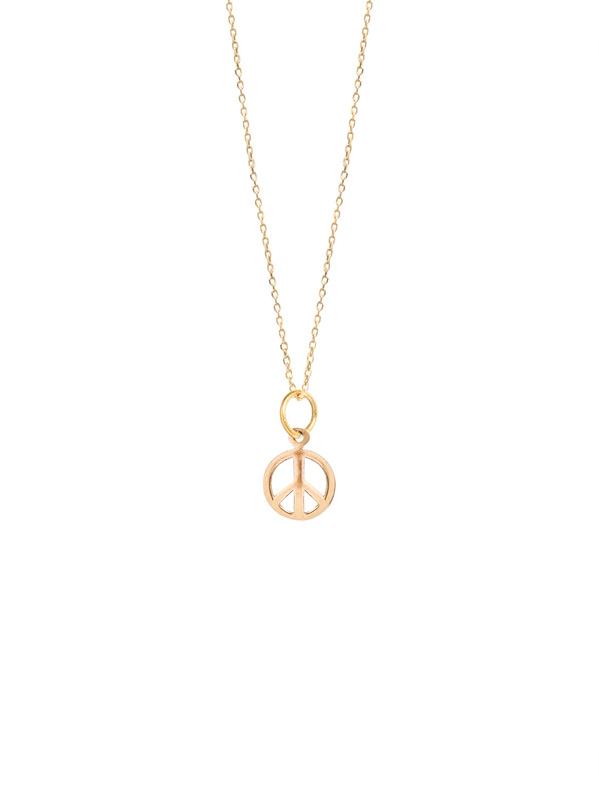 Perfect the art of layering by using this sweet little peace sign necklace as a starting point. The gold charm measures just over 1cm in length and hangs on a sterling silver chain which has been plated in 23.5 karat gold and has three different length options, ranging from 40cm to 50cm. Making it ideal to layer with other necklaces from this range.